NetEnt is world famous for its online slots. When it announced its groundbreaking Touch™ mobile platform in 2011 it placed mobile slots game-play at the heart of its development operation. Its mobile casino games took slightly longer to catch up. But when they did, boy did they. 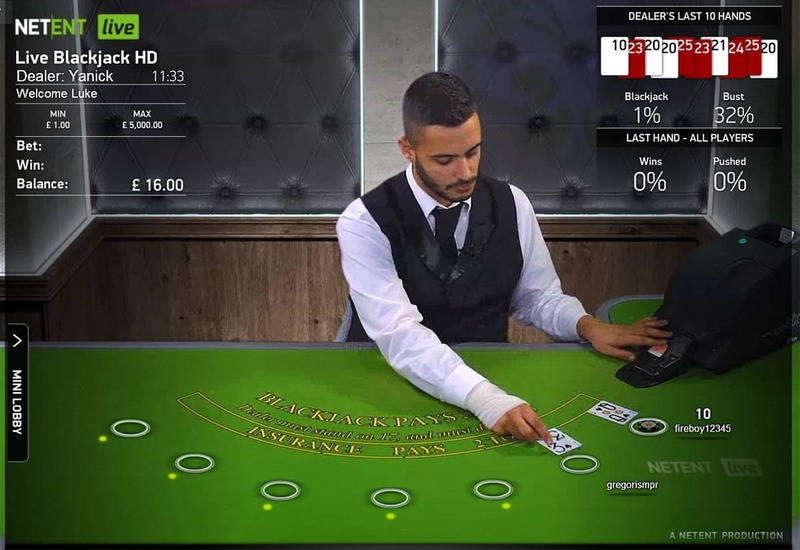 Using unique chroma key technology, NetEnt’s Blackjack Live rocked casino games fans’ worlds upon its release. The action is smooth, the setting slick, and the betting ranges wide, whether we play online or on mobile. The snug booths in which we play NetEnt’s Blackjack Live are at once cosy and chic. The booths are bedecked in black leather, our dealers have the personality and the vibe to fit in neatly. All the statistical data we need sits on the top right of our screen, with the dealer’s last 10 hands displayed along with the percentage of dealer Blackjacks and busts. Beneath that, the percentage of player wins and pushes from the last hand keep us in the loop. 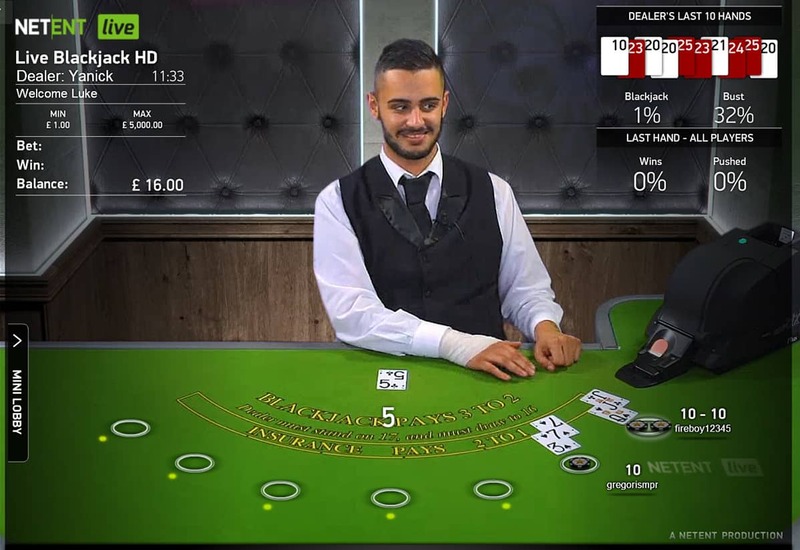 The top left of our screen houses the table information, such as dealer’s name, time and chat functions. Despite the constant presence of all this information, NetEnt has managed to keep the game-space uncluttered and unfussy. When we score a Blackjack a delightful animation shoots up from the bottom of the screen, sending sparks across our game space. 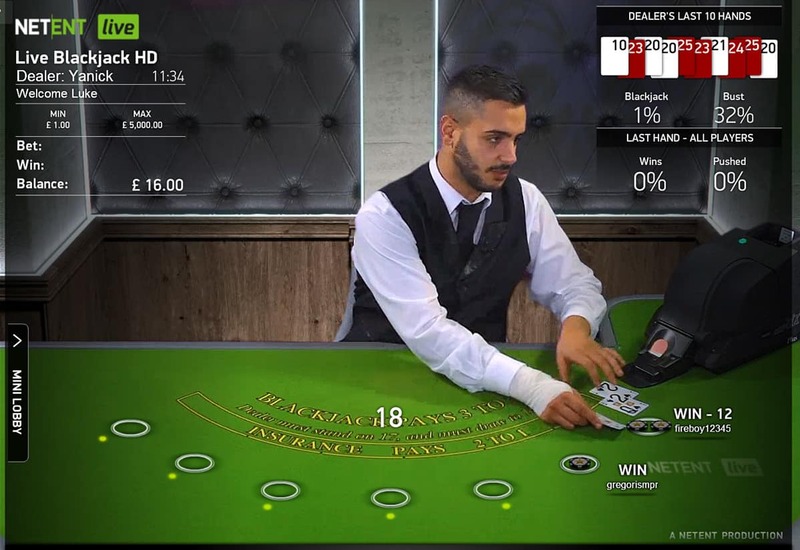 NetEnt’s Blackjack Live is played in the European style, which sees each player dealt two cards but the dealer dealt only one until the conclusion of each round. We place our bets using a chip stack that disappears during play, while a neat bet timer reminds us there are others playing and we should get a move on. Rules and payouts operate on standard lines. Regular wins payout 1:1, Blackjack pays out 3:2 and insurance wins tot up at 2:1. One refreshing thing about the game-play is the lack of extra side bets or special bets as offered by many other modern Live Casino games. Paired down game-play like this lets us concentrate fully on our Blackjack strategy and not have to worry about any additional extras that are irrelevant to the game. Many Live Blackjack games promise much and don’t deliver, or aren’t well executed. 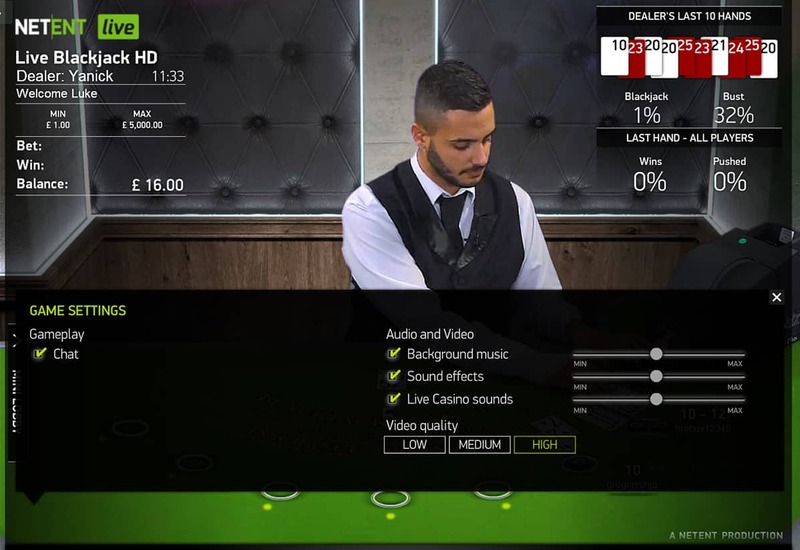 These aren’t criticisms we can lay at NetEnt Blackjack Live Standard. It lives up to all its promises. The speed and quality of the game-play, ambient surroundings and excellent game design all serve to get the very best out of classic European Blackjack.